Why buy a plane ticket when you can take a culinary journey around the world without leaving home? San Diego gives foodies access to worldly cuisines sans plane rides and airport lines. It’s true what they say…it’s a small world after all! Enjoy a epicurean adventure without leaving America's Finest City at these 7 local restaurants. 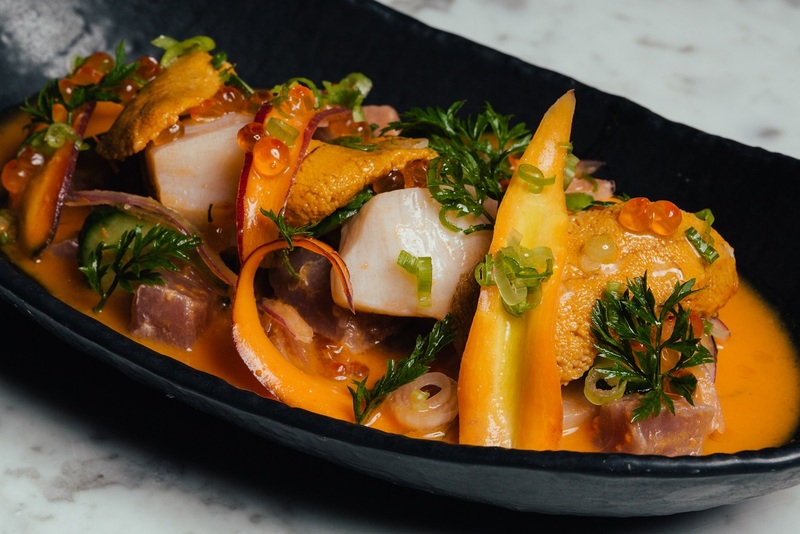 With Mexican roots that honor a heritage of timeless culture and quality, Bracero Cocina de Raiz is putting Baja cuisine on the map. A modern take on traditional flavors, the Carrot Aguachile features local tuna, Baja media luna scallops, carrots, ginger, ghost pepper, smoked steelhead roe and cashews. Finish your meal by raising a toast to the Bracero spirit with a sip of one of Bracero’s tequilas, mezcals of different agaves, bacanora, raicilla or sotol. If you’ve ever wanted to travel to Latin America, Sirena Cocina in Little Italy is your destination. Their menu offers an array of Latin-inspired dishes with vibrant and exotic flavors. The Coconut Ginger Ceviche Tostada is crafted with white fish, roasted pineapple, red onion, coconut milk, lime, ginger and red chile. Their worldly outlook doesn’t stop at the food menu - Sirena also looks around the world to build their wine selection. Their list includes grapes from destinations such as Chile, Baja, Argentina, Spain, Italy and France. Let your taste buds travel from the comfort of San Diego’s very own Sirena Cocina. With housemade wood-fired dishes, focaccia sandwiches, salads and bruschettas, Biga is dishing out Italian-inspired cuisine in downtown San Diego. The Italian-influenced spot goes the extra distance with locally-sourced ingredients in their authentic plates, so that you don’t have to! 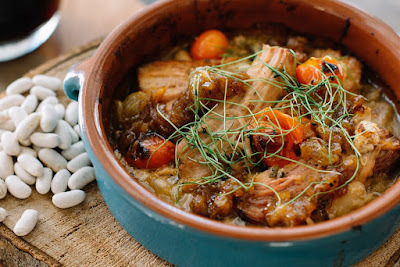 Try the Milk Braised Pork for a taste of the fresh Italian flavors. The entrée is made in Biga’s wood-fired ovens with a housemade herb sauce, Meyer lemon chutney and chives. Experience the fusion of two cultures at once at Romesco Mexiterranean Bistro in Bonita. Their award-winning cuisine featuring Mexican recipes and Mediterranean cooking techniques will let you explore Baja cuisine at its finest. Their Chile Poblano de Mariscos demonstrates the renowned flavors with a shrimp, crab and salmon stuffed chile poblano, topped with guava pine nut sauce and balsamic syrup. For a glimpse into how small the world really is, opt for the Classic Tijuana’s Original Caesar. The dish can be made tableside and exhibits the tastes of our neighbor to the south. How does traveling to three countries simultaneously sound? 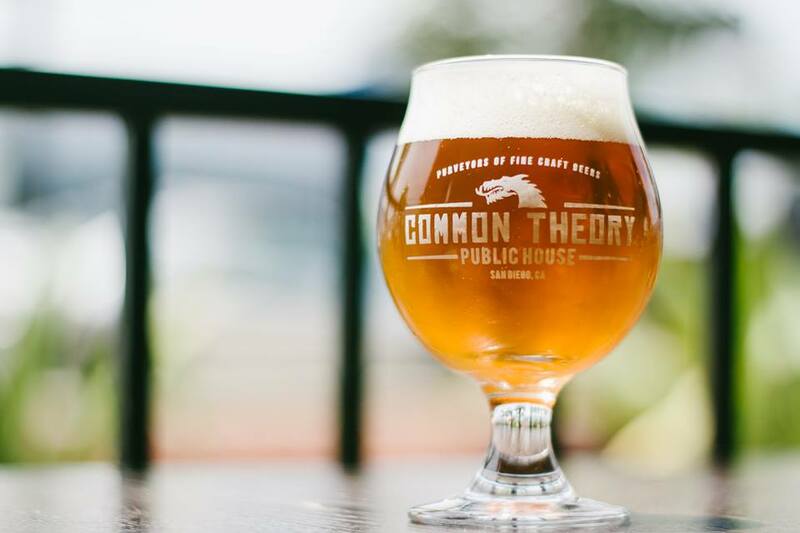 The menu at Kearny Mesa’s Common Theory Public House features a clash of Korean, Chinese, Mexican and American cultures and cuisines. Grab one of over 30 craft brews and dig into Garlic Noodles. The fettucine pasta is tossed with bacon, shrimp and fresh scallions. If you’re feeling extra adventurous, add an egg yolk to the mix. When the skill of a Master French Chef meets a blend of California and French cuisine, the outcome is prettymagnifique! Bellamy’s Restaurant in Escondido has perfected California Modern cuisine with French influences through its farm-to-table entrées. The King Beef Tournedos Rossini is accompanied by seared foie gras, bacon-wrapped haricot vert and truffle sauce. Wash down the dish with The Botanist, a handcrafted cocktail with gin, Green Chartreuse, raspberry balsamic and lemon juice. As a restaurant, bakery and café with an Italian heritage, Pan Bon is a one-stop-spot for San Diegans. Travel to the heart of Verona, Italy for breakfast, lunch or dinner with their to-go options at the counter as well as their dishes from the menu. Say buon appetito to the Pappardelle Porcini e Coniglio, housemade pappardelle pasta with a rich rabbit and porcini mushroom ragout. Next time you’re craving an around-the-world trip, there’s no need to buy a plane ticket. Instead, check out some of San Diego’s worldly cuisines.